Launched in 2016, Britain’s Got Talent Games (or BGT Games) need to nail this casino if they want to live up to their mammoth name. Do they? Let’s find out. 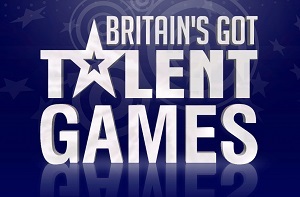 Britain’s Got Talent Games is licensed by the UK Gambling Commission and the Malta Gaming Authority and offers 14-hour support via telephone, live chat and e-mail. Excellent, excellent stuff. Those who’ve been on X Factor Casino will recognise this layout, with the slightly old-fashioned look, but the hella great navigational journey and the super speedy loading times. It’s not particularly flash, but it’s arguably one of the most user-friendly sites out there offering great game categories and an excellent customer support team to boot. A wonderful setup. BGT Games has most of the popular payment methods out there including Visa, Mastercard, Boku, and bank transfer. The minimum withdrawal and deposit amount is £1o. There is no maximum deposit or withdrawal. With over 700 games, quantity wise Britain’s Got Talent Games’ selection is pretty standard, but quality wise, it’s anything but. From popular slot titles like Starburst and Rainbow Riches to progressive slots like Cleopatra and Genie Jackpots, BGT Games offers a little bit of everything and more with a huuuuge selection of live casino, table games, and instant win games as well. Love. Ly. Great work, this. A fine job. 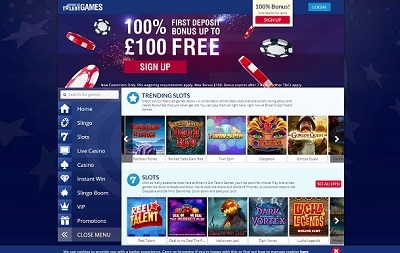 From the lovely, straightforward website design to the excellent welcome bonus, Britain’s Got Talent Games has done a marvellous job at nailing all the key elements that makes up a great casino. The thing I particularly like are the instant-win games which are in abundance, and moresome. In fact, it’s probably only X Factor Games, BGT’s sister site, that comes near offering the same. There’s just sooooo many! Then on top of that there’s a 14-hour customer support team, progressive slot games, no maximum withdrawal, all the popular payment methods, and a lovely welcome offer. What more can you ask for?